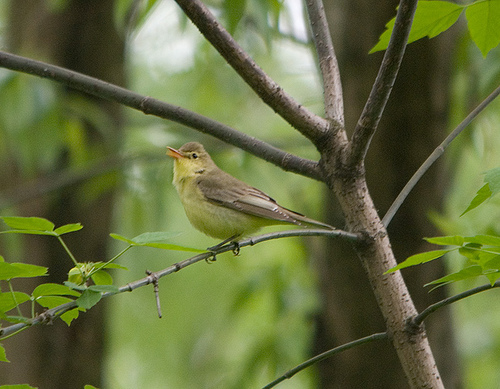 The Icterine Warbler is known for its sound-imitations of other species. It has a preference for tall trees and is therefore often difficult to spot. The Icterine Warbler is larger and lacks a clear eyestripe. 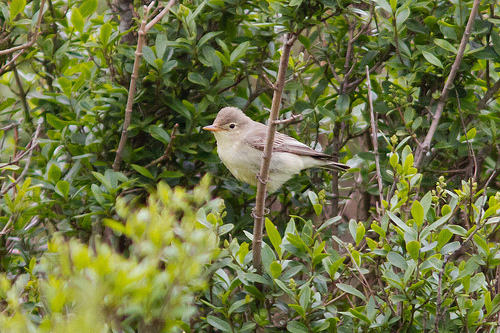 The songs are quite different; the Icterine Warbler has a lot of variety in its song, the Willow Warbler sings a rather simple, in tone descending song. The Chiffchaff keeps on repeating its own name, while the Icterine Warbler has a varied song.